Previously only available to tutoring students. 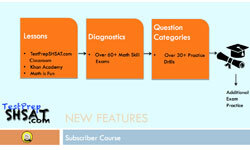 This course curriculum integrates 3 sources for learning and 60+ math skill exams to get you ready in every skill area for the SHSAT exam. A great program to study with a group or on your own. 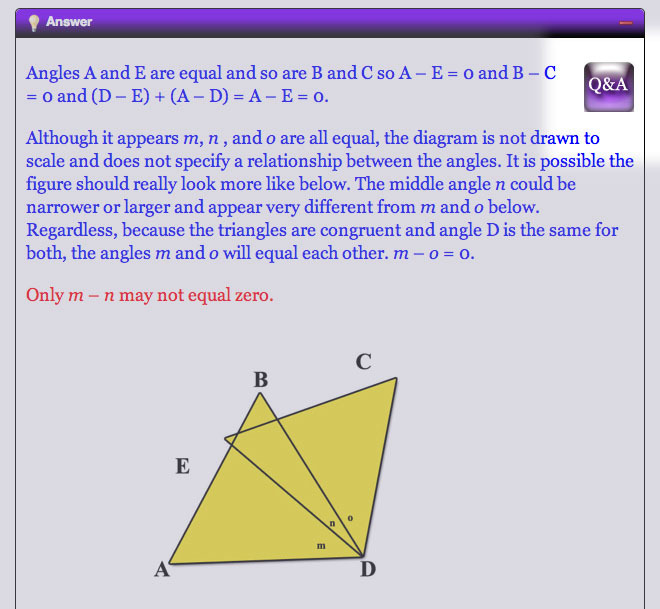 In addition, we provide written answer explanations for every problem. They tend to be more visually engaging than most books and are designed to address different approaches to solving the types of problems students will confront on the exam rather than providing a dry recipe to follow. Our goal is to teach your student better ways to succeed in the exam. Anyone who has taken the SHSAT exam appreciates that there is an easy way and a hard way to solve most problems and there is little leeway for exploring a lengthy approach to the solution. That is why our explanations of answers do not often read like static recipes and our test taking tips are not limited to suggestions about eliminating answers to improve your chances. We attempt to explore the decision points a student encounters when he or she takes the test and must decide how to approach solving each problem. Following is an actual example explanation provided by another service for an SHSAT ratio problem. Do I make the long calculation or is there a better way? We at TestPrepSHSAT.com believe there is often a better way and this problem, for example, could have been solved almost instantly by a smart estimate that x should be less than 10% greater than 2/3 which is very close to 21/33. That only leaves the correct answer 0.70 or 70/100. Alternatively, rather than do multiplication and long division, it is easier to reduce the fraction, 21/33 to 7/11 and cancel the factor 11 (110 = 11 x 10) in the numerator with the 11 in the denominator. The result is 70/100 without any drawn out calculation…a detail the answer explanation above skipped over entirely. It is our goal to teach students how to use these methods. While far from perfect, we believe we offer insights into certain problem solving approaches others often do not. The SHSAT is a time pressured exam without a calculator and the more comfortable and confident you are going into the exam, the better your chances will be to succeed. Practice drills will cover the basics and get you working faster and with more confidence! Scrambled Paragraph drills are provided in a unique, new visual way which allows students to see the context of the whole paragraph real time as they adjust the order. Better awareness and more practice are sure to make you better at this tricky verbal section. Practice drills are also available for verbal logical reasoning problems. We believe the more content and variation you see, the less likely you are to be surprised when you take the actual exam. You will always have the option to submit an online ticket for support. We will address them in the order they are received and strive to respond to your concerns as quickly as possible. Although it is not possible to offer the hand-holding, face to face service of a tutor at 20-40 times the price, we do consider you the priority and want to help improve your experience. If at any time during your free trial period you are unhappy with the product, then feel free to cancel for a full refund. We stand by our product and believe you will find it one the best values available to you in preparing for this very important and sometimes intimidating admissions exam.